In recent years, there have been many advancements in electric tools. In the past, a lot of individuals shied away from electric-powered equipment simply because the drain on the battery life could present a problem for heavy jobs. However, manufacturers are becoming better at making these products last longer between charges. One example of where this is especially true would be in electric chainsaws. If you have been working around chainsaws for most of your life, you are probably more familiar with gas chainsaws. However, there are a lot of benefits to electric chainsaws and there are many reasons why you should consider switching to one. The lightweight design of an electric chainsaw is definitely something that would be appealing to most suburban homeowners. The fact that they are not a burden to carry would make them an excellent choice over gas-powered models. Unlike gas chainsaws, electric models do not have an overbearing gasoline smell after you use them. This is because they are not powered by gasoline at all. They are completely electric, and this makes these models perfectly appropriate for those who have medical conditions that cannot handle the usual difficult smell that emanates from a gasoline-powered version. An electric chainsaw is much easier to use than a gasoline model because there is no need for heavy maintenance measures such as mixing gas with the oil. 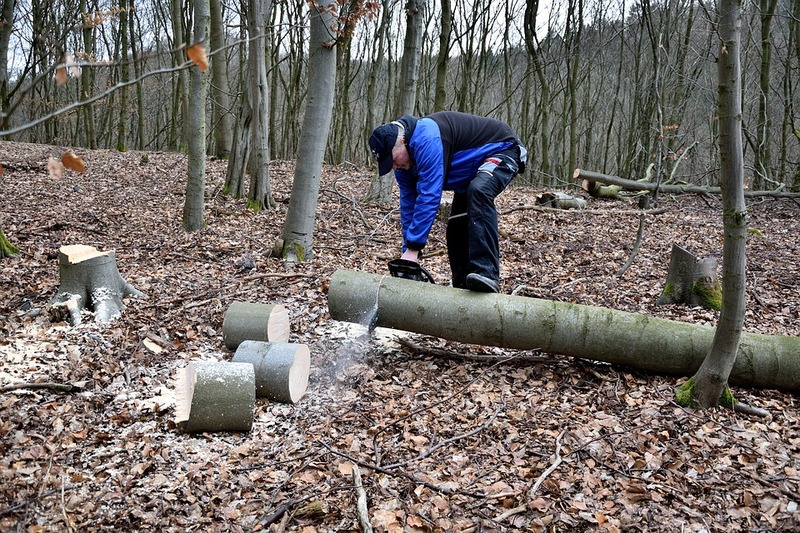 Moreover, unlike gas chain saws where you have to pull on them in order to get them to start an electric chainsaw will simply turn on with the push of a button. An electric chainsaw will also emit significantly less noise than a gasoline version. Electric chainsaws are known for being a bit cheaper in price than their gasoline counterparts. You often can procure an electric for between $100 to $200, whereas a gas-powered will sometimes be $300 or even upwards of $500 or more. The lightweight design of an electric model makes them a lot of easier to assist in removing taller branches. A gas chainsaw is going to be heavier and that makes it more difficult to lift into higher areas. Because more and more people are realizing the advantages an electric chainsaw presents over a gasoline chainsaw, there are many electric chainsaws available for sale today. If you are looking for a chainsaw that is ideal for smaller to mid-sized jobs, you should definitely give an electric version some thought.